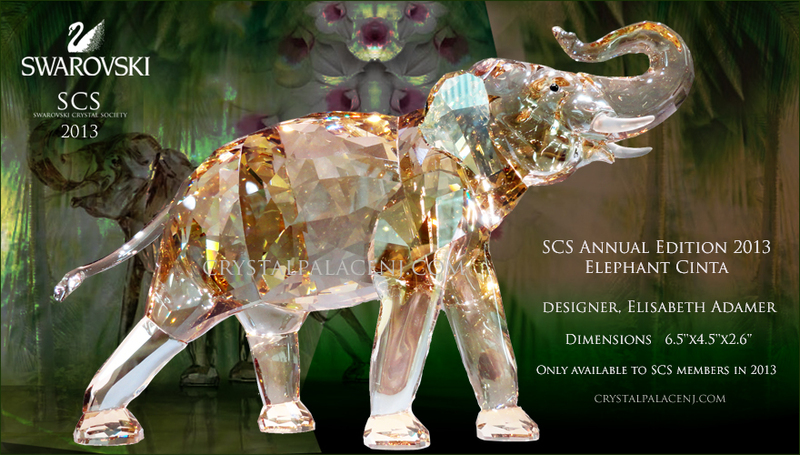 The enchanting Elephant Cinta in Crystal Light Sand is this year's Annual Edition. It comes with a Crystal Moonlight Title Plaque in the shape of a lotus flower. The Asian elephant is the second largest land animal on earth. It can be found in Southeast Asia, from India to Borneo. In general, Asian elephants are smaller than their African counterparts. "Cinta" means love in Indonesian. 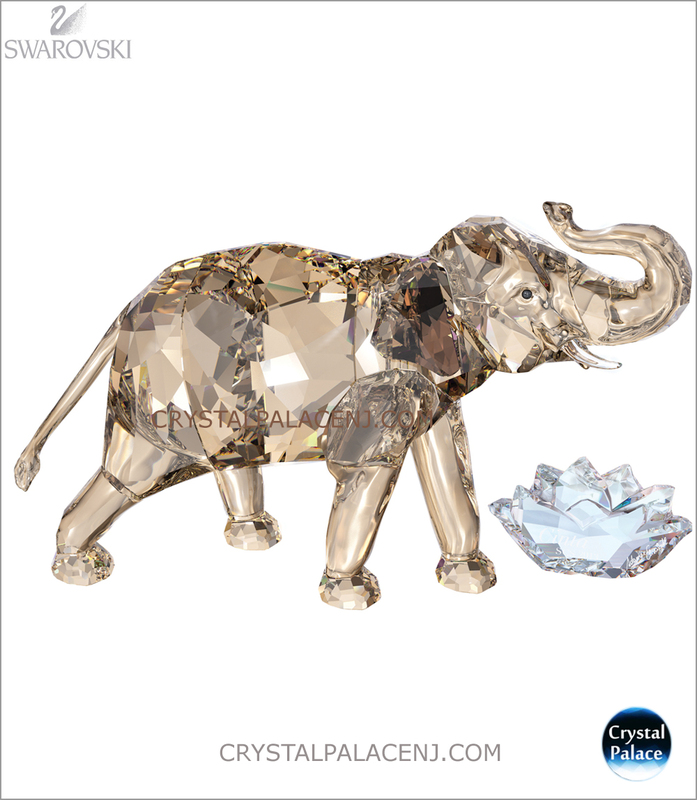 Crystal Moonlight Title Plaque in the shape of a lotus flower. 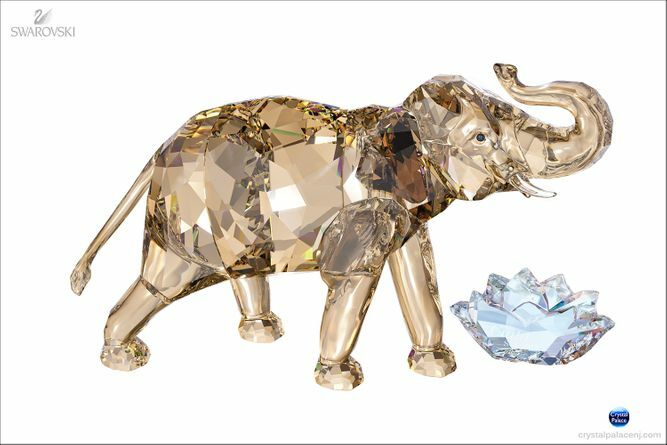 The name "Cinta 2013" and the signature of the designer, Elisabeth Adamer, are engraved on it.The raised trunk pose is considered a lucky symbol in many countries. Swarovski SCS Annual Edition 2013 Elephant "Cinta"